If the school decides to add an activity period to the 2016-17 bell schedule, students would be able to attend tutorials during the school day. 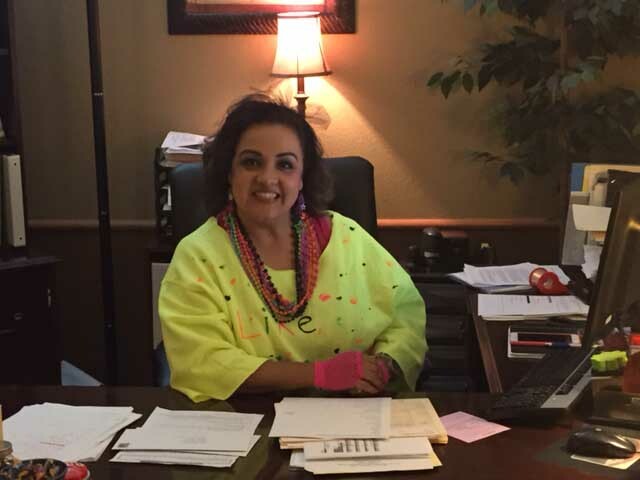 Counselor Alma Campo is responsible for students with a last name that starts between S and Z. Having freshmen coming in and seniors getting ready to graduate, counselors have a lot to handle. Wingspan’s Prachurjya Shreya sat down with counselor Alma Campo in this edition of “Get to know”to discuss many aspects of the student body. Wingspan: What is your advice to freshmen this year? Wingspan: When did you first realize your passion for helping others? Wingspan: What makes you want to work here on campus? Wingspan: What would you recommend to students dealing with stress? Wingspan: What would you do if one of your students wanted to drop out of high school? Wingspan: How do you feel about bullying? Wingspan: On the subject of bullying, how do you feel when you help a student out with bullying and/or in general? Wingspan: What are your pet peeves? Wingspan: How has this job impacted your life outside of school? Wingspan: On the positive side, how does it make you feel when students graduate? Wingspan: Last but not least, what can we do as a whole to improve? What can we improve on socially? The Red Rhythm dance team performs at halftime of a football game. Varsity football is not just about the game on the field Friday night as band and cheerleaders pump up the crowd. Right there with them is the Red Rhythm dancing their way into your heart. Wingspan’s Dea Divi sat down with Red Rhythm’s assistant director Jenna Fisher to talk about her dance career and what’s upcoming for Red Rhythm. Wingspan: What events is the dance program here going to participate in? How do you decide what events to do? Wingspan: Where can students get more information and buy their tickets? Wingspan: How long have you been dancing? What made you want to teach rather than become a professional? Wingspan: Was there ever a moment in your life when you thought “I hate dance” or felt like this was not the perfect match for you? Wingspan: If you had to choose one style of dance to teach for the rest of your life,which one would it be? Why did you choose hip-hop? Wingspan: What was the first type of dance you were introduced to? When and by who? Wingspan: What are some things that you noticed here other that is different from schools that you have been to? Wingspan: What is your favorite “cool” dance move, like the whip and the nae nae? Why? Which one are you best at? Wingspan: Dancing shows have been popular on TV for a while now, where do you think dance fits in today’s American culture? 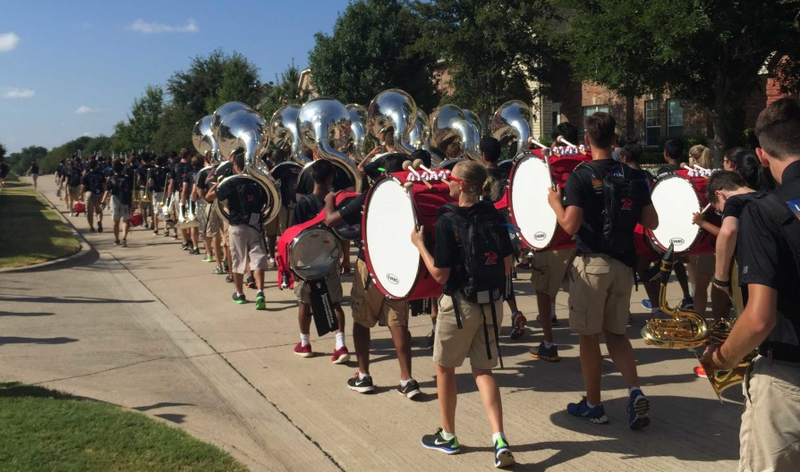 From marching in the streets as part of a fundraiser to performing at halftime of football games, the band has a full schedule in the fall. Helping to lead the band are the drum majors who act as a intermediary between the band and the band directors. Contest season is coming up for the school’s marching band. 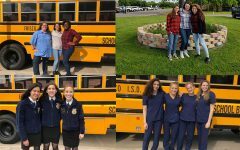 During the month of October, the band members, color guard, and staff will be competing in various competitions every Saturday. Wingspan sat down with one of the four drum majors, Landon Shumway, to find out what’s going on with band. Wingspan: What instrument do you play? Wingspan: Many people are not very familiar with what a drum major is. Could you explain the roles of a drum major? Wingspan: What is the band doing to get ready for the upcoming contests? Wingspan: How long are rehearsals? And when does the band start practice during the summer? Wingspan: What is the show title of the marching show that the band is working on this year? (Title, what the music consists of, etc.) What else is there to know about the show? Wingspan: Which is the most important contest coming up? Why? Wingspan: How has the band improved? Wingspan: What are some struggles that you, the other band members, or staff experience during marching season? Wingspan: What are some of the most critical factors band members have to be aware of in order to meet the overall standards of marching band? 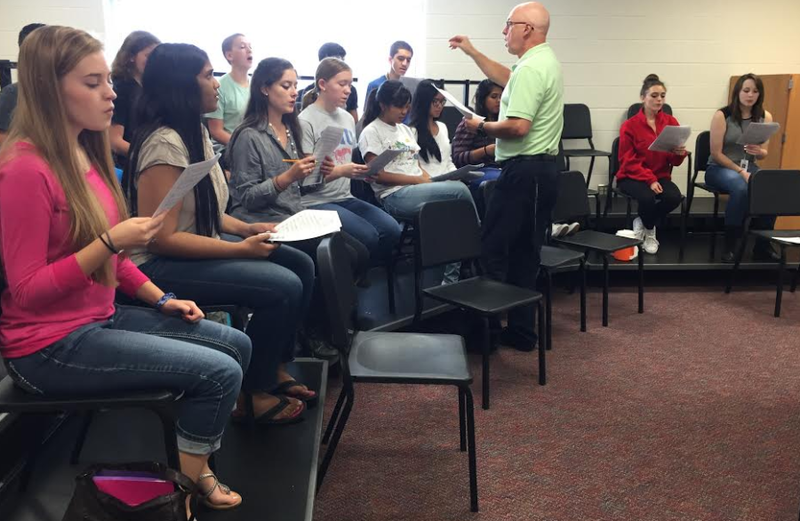 For nine years choir director Bruce Stevenson has been working with high school students. This week he is helping them prepare for All-State auditions on Thursday. Just a few weeks into the school year, choir students are already diving straight into All-State choir music and auditions on Thursday. Wingspan recently sat down with choir director Bruce Stevenson to talk about the details of All-State, as well as his teaching processes and beliefs. Wingspan: When are All-State auditions? Wingspan: How does the All-State process work? Wingspan: What is the general type of music that the audition requires the students to learn? Wingspan: Since the music is so advanced, what are your expectations regarding the student’s success in the audition? Wingspan: What is your favorite thing about teaching choir? Wingspan: How long have you been teaching choir? Wingspan: Were there any moments where you doubted your musical ability growing up? What advice do you have for students struggling with the same thing now? 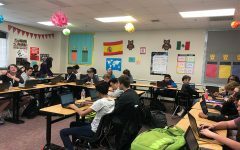 Debate competitors are preparing for future competitions through research and goal setting. The debate team is hoping to up its game this year. With that in mind, Wingspan’s Sarah Swinford talked to senior Eunise Chen, about her ideas and experiences about debate class and the team. Wingspan: Do you have high standards in debate this year? Wingspan: What are some of your goals for this year? Wingspan: Why do you think some people in the past took debate as a “blow-off” class? Wingspan: Since tryouts have just ended and you are one of the judges, do you see potential in this year’s official debate team? 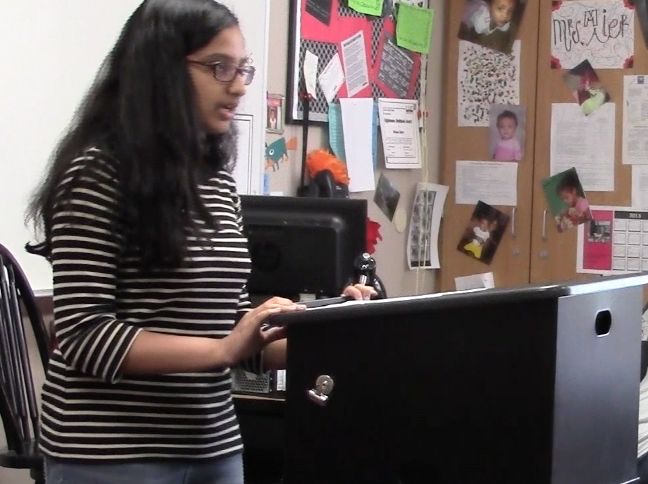 Wingspan: Is there anything that is going to be improved in debate team from last year? Wingspan: Now, you said that you don’t know what teams they are on yet, but do you see a lot of potential for a certain type of debate? Wingspan: What essential skills does debate give a person? Wingspan: If someone joins debate with a lot of extracurricular activities, how does the debate team work around them? 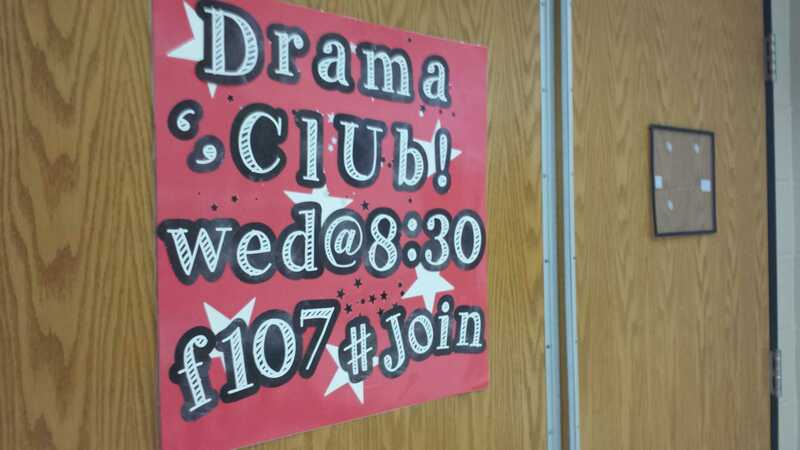 The Drama Club meets Wednesday at 8:30 in room F107. The Drama Club is headed by theater teacher Stephanie Winters. Drama club is an organization that builds strong relationships through bonding artistic activities and performances. Although drama club may catch the eyes of theatre students on campus, anyone who is new to the performing world is welcome to join and maybe even gain a new interest. Wingspan sat down with drama club director and theatre teacher, Stephanie Winters, to get a better insight into the program. Wingspan: What is drama club going to be all about? Is it going to be based off theatre? Wingspan: Can anyone join the drama club? Wingspan: How do you choose the officers? Wingspan: Do your students help you figure out what the plays will be like? Wingspan: What are your students doing right now in theatre? Wingspan: For tech theatre, anyone can join? Wingspan: When you guys elect new officers, do the old officers still have importance? Wingspan: Is there anything you would like to say to get theatre out there? Drama club meetings are every Wednesday at 8:30 a.m. in room F107. Anyone is welcomed to join. The nurse's office sits empty in this picture, but school nurse Emily Mikeska is one of the most visited staff members on campus. One of the most visited staff members on campus is school nurse Emily Mikeska. With an office located just off the rotunda, Mikeska is easily found and frequently asked for. Wingspan: What do students do when they feel sick and are not able to get the proper treatment? 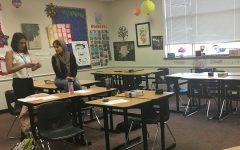 Wingspan: What happens when a student is feeling ill and does not have a fever, but is in pain? Wingspan: What are the medication rules regarding students and pills? Wingspan: What are the weirdest things students have asked you about? Wingspan: What made you become a nurse? 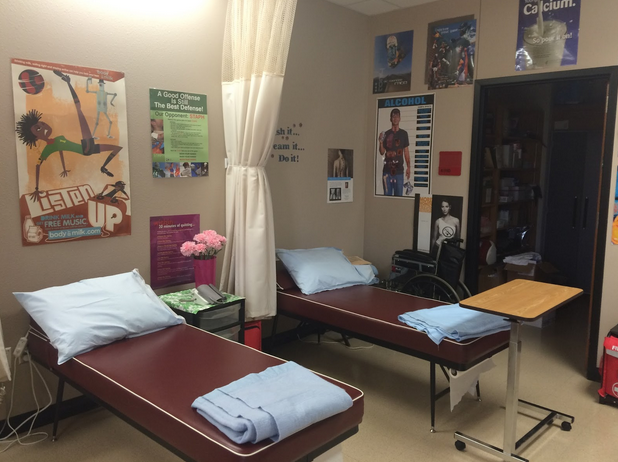 Wingspan: What are the requirments to become a school nurse in FISD? Wingspan: How has your experience being a nurse at here on campus been? Looking up at the photographer, the orchestra takes a break from rehearsing. The orchestra will be performing in Chicago in December. With the second six week grading period just underway, most are adjusting to school after nearly three months of summer vacation. The orchestra has already been preparing for a number of activities, including a trip to Chicago to perform at the Midwest Convention, and its first concert on Tuesday. At the head of all this is orchestra director Julie Blackstock. Wingspan sat down with Blackstock to talk about how thing’s are going and what the orchestra is working on these days. Wingspan: What can staff and students expect out of orchestra this year? What other events is the orchestra preparing for? Wingspan: What exactly is the Midwest Convention? Wingspan: How do you feel about performing in Chicago for the first time? Wingspan: What is the program consisted of? How did you decide on what pieces to play? 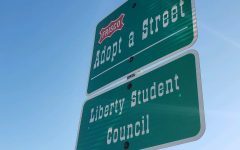 Wingspan: How are students preparing for this? Wingspan: What other activities are you doing in Chicago? Wingspan: What are your goals for orchestra this year? Wingspan: What makes orchestra unique? What makes it enjoyable to work here?